Showing results by author "The Moma Factory"
This audiobook includes the best yo mamma jokes on earth. These are guaranteed to make you roll on the floor laughing. Tell these at parties and get-togethers and be the star of the entertainment. 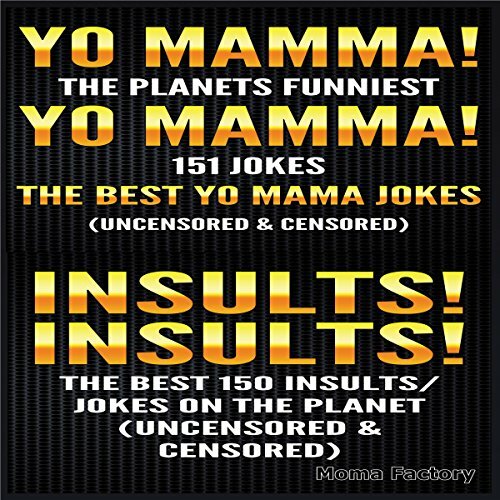 Here are the best-ever Yo Mamma jokes on earth. These are guaranteed to make you roll on the floor laughing. Tell these at parties and get-together's and be the star of the entertainment.